Wyoming Breezes: Ready for Picking. . .
Ready for Picking. . . Pair #7 is ready to add to the 2018 Box of Socks. I couldn't resist clipping this pair to the bough of my neighbor's apricot tree, cascading over the side fence. Yarn information and knitting notes can be found here. A baby hat was also made from the remaining yarn, and another one is on the needles. 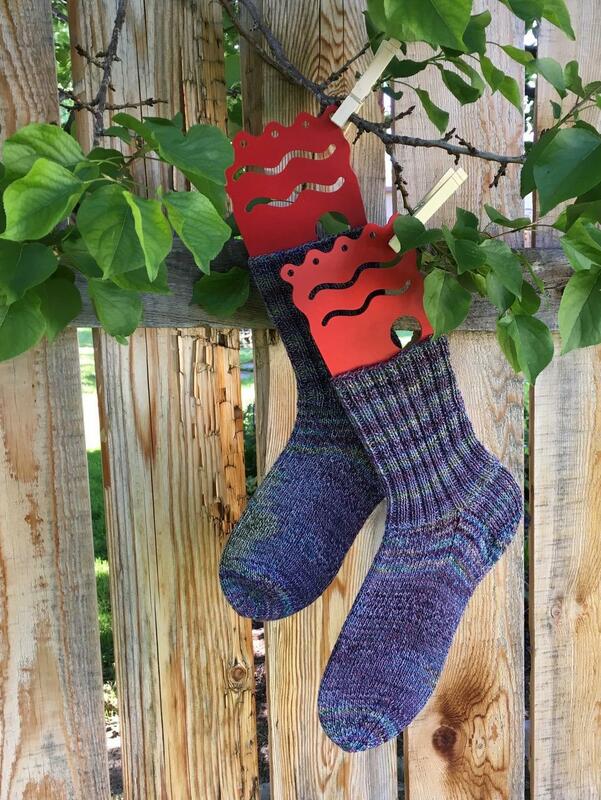 Wouldn't it be something if socks really DID grow on trees???? Those socks look quite snuggly! That was a cute way to photograph them. Good looking pair of socks. The yarn is so pretty that I’m sure the baby hats will be pretty too. Those turned out really pretty Nancy. Have you used the Tofutsie yarn previously? And, if so, how does it wear? I would LOVE to have an Apricot tree! Beautiful fun phototgraphs. Great socks Nancy. And another wonderful hat. Glad to see some greenleaves around you!!! Great pictures and beautiful socks and hat too. You are really productive. I’m just knitting hats! Actually, I’m knitting mittens. I have no idea why I typed “hats”. I must be losing it. Congrats on the great finish! I love those sock blockers. They are so fun! Another nice pair of socks. Hum, do you get apricots that hang over on your side too? You're very productive, Nancy. 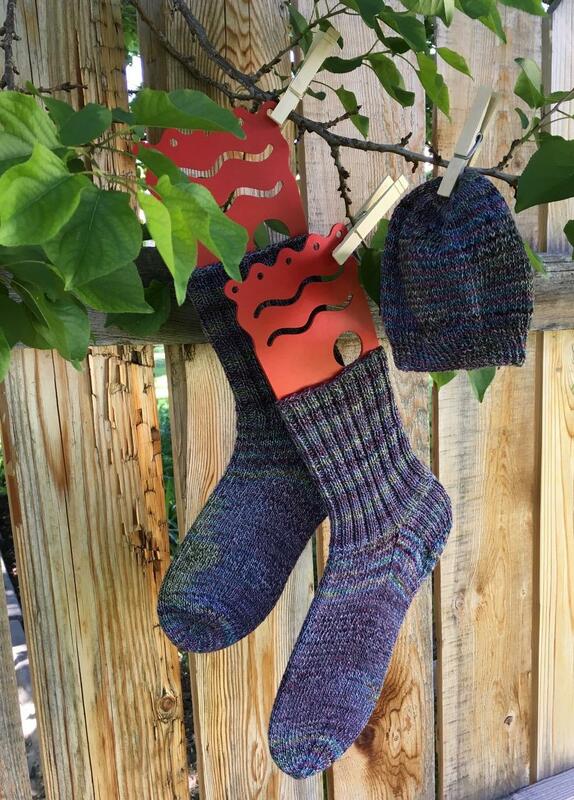 I like the socks hanging on the apricot tree. Cute staging. Very pretty pair and great dedication to keep whipping up the baby hats!